“Black Panther” takes place after the death of T’Chaka (John Kani), T’Challa’s father, in “Captain America: Civil War” in the fictional African country of Wakanda where T’Challa (Chadwick Boseman) has come back to take his place as king. Wakanda was hit by a vibranium meteorite centuries ago, which the Wakandans have used to create advanced technology but keep themselves isolated from the rest of the world under the guise of a third world country. “Black Panther” follows T’Challa as he navigates the new responsibility of being king with his sister Shurri (Letitia Wright), his general Okoye (Danai Gurira), and his love interest Nakia (Lupita Nyong’o). Unbeknownst to him, the new position comes with a secret that has been covered up for decades and could lead the way to a new Wakanda. Even though Wakanda is a fictional country, it feels nostalgically real. Living in the United States, it is very difficult to find examples of Africa shown in the media and on screen that don’t show starving children or the diseases, which are portrayed as a symbol of what Africa is. I didn’t think it was possible for the American film industry to portray African culture in a good light. “Black Panther” illustrates the beauty in African culture. Almost all the clothing worn in the movie has African designs. The film also depicts how there are traditional African tribes and the influence the elders have on their people. What stands out most to me is how every black person has their natural hair, because Wakanda was never colonized there was no one to make them feel as if they had to change parts of themselves because their bodies weren’t good enough. Even Erik Killmonger (Michael B. Jordan), who did not grow up in Wakanda, embraces his natural hair and wears locs, which in Western society can be depicted as unkempt, but in this film just feels right. When I entered the theatre to watch “Black Panther,” I did not expect it to tackle some of the social and political issues going on in the world today. One of the issues the film addresses is the divide between Africans and African-Americans. 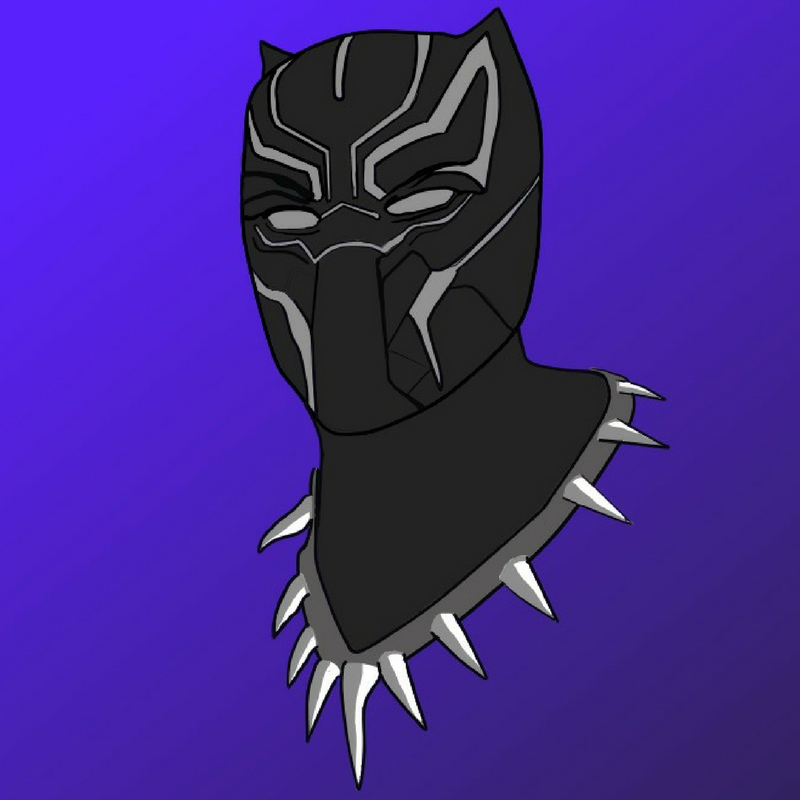 This divide is subtly portrayed in the music that is plays when T’Challa comes on screen versus Erik Killmonger. When T’Challa appears, the African rhythm and drums accompanied him. Yet, when Erik Killmonger strutted across the screen, Kendrick Lamar’s rapping and the heavy bass associated with hip-hop vibrated through the theatre. The film conveys how both sides don’t see each other as the same group of people because each has different experiences and different relations to African traditions. The political debate on whether advanced countries should support other nations or not, in order to preserve themselves and their traditions, was well done. The positives and negatives of both sides are equally represented so it makes the audience think beyond what was shown to them. The balance between politics and humor was excellently done with M’Baku (Winston Duke) and Shurri injecting comic relief throughout the film. The somber mood that would occasionally occur was supported by a good laugh to ease the tension. This film is inspired by the quote “behind every great man is a great woman.” First, the Dora Milaje, the most fearsome warriors in Wakanda, are all women who are led by the general of Wakanda, Okoye, who is also a woman. Then the head of technology in Wakanda (keep in mind that this is the most advanced technology in the world, even more advanced than Tony Stark’s iron man suit) is T’Challa’s sister Shurri. Lastly, there is Nakia who, even though she is the love interest of T’Challa, is very independent. She is never portrayed as a damsel in distress and does not pine after T’Challa but rather he pines after her. Nakia knows what she wants and will go out and get it for herself, an attribute all the women of Wakanda seem to possess. “Black Panther” was refreshing (even if T’Challa and Shurri’s African accents made me cringe half the time). Just because it has nearly an all black cast, does not mean it is a film only for black people. Everyone, no matter who you are or where you come from, should watch it. Not to mention “Black Panther” has ranked number one in the box office for the past five weeks, according to Box Office Mojo. Yes, it was an empowering film for black people and women, but it is also a representation of what this world can be when power is placed in the right or wrong hands.